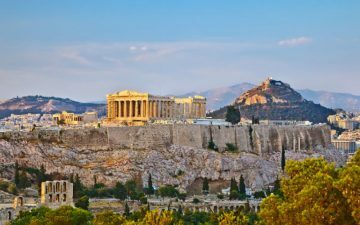 If you are captivated by historical artefacts and ancient complexes, or if you have a passion for archaeology, then a holiday to Athens is likely to be incredibly enriching. 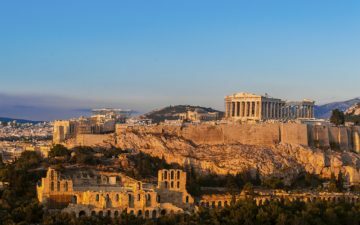 Athens is one of the oldest cities in the world, with a history spanning over 3,400 years. As a result, the city is full of captivating museums, galleries, temples and ruins which date back to the seventh millennium. The Acropolis is an iconic and awe-inspiring historical site, containing a number of monuments and buildings that remain from bygone eras. Among some of the most breathtaking sites within the Acropolis are the Parthenon, a majestic temple that was built in 447 BC to honour the goddess Athena Parthenos, the patron of Athens; the Erechtheion Temple that was completed in 406 BC and which has been home to the cults of Poseidon, Athena and Erechtheus over the years; and the Propylaia, which has stood as the grand entranceway to the Acropolis itself since 437 BC. In addition to these breathtaking Athenian complexes, you can also visit the Acropolis museum, located nearby and housing a wealth of ancient Greek antiquities. As such, a visit to the Acropolis promises to be incredibly enriching if you wish to step back in time and bask in the wonders of ancient Greece. Often referred to as “The Metropolis”, Athens Cathedral was constructed during the 19th century and since then it has served as a major city landmark within which many prestigious ceremonies, coronations, weddings and funerals continue to take place. The cathedral also houses a plethora of hallowed Grecian artefacts, including colourful Byzantine-style frescoes, national treasures, the tomb of the saint Patriarch Gregory V as well as the bones of Saint Agía Filothéi, which are visible in a silver reliquary. Athens contains some of the most beautiful temples in the world and the largest of all is the Temple of the Olympian Zeus. 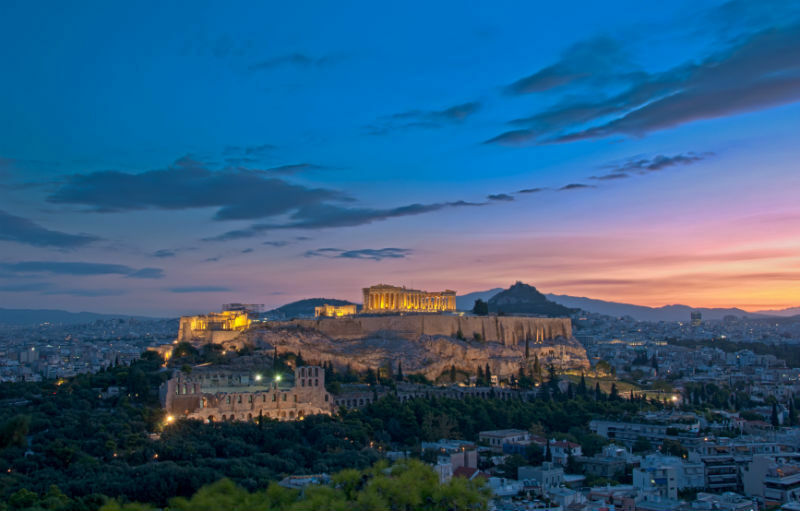 Located close to numerous luxury hotels in Athens, this grandiose site took over an amazing seven centuries to complete: It commenced construction in 515 BC under the rule of Peisistratos and only being completed under the rule of Emperor Hadrian in 132 BC. 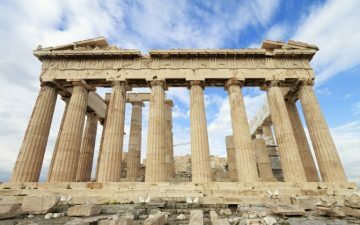 For thousands of years, this temple has towered over Athens and, although only 15 of its formidable columns remain, it continues to amaze and enthral all who visit. By taking a short walk from the Acropolis you can explore the Agora of Athens; the ruins of an ancient marketplace and civic centre. Thousands of years ago, the Agora was the epicentre of ancient Grecian political and business talks as well as the site whereupon in-depth discussions concerning the universe, the divine and nature took place. In fact, the roots of ancient Greek democracy can even be traced to the Agora. The National Archaeological Museum was originally constructed to house all of the 19th century excavation finds that were unearthed from inside and around Athens. However, over time it amassed a plethora of additional exhibits from across Greece and eventually grew into the extensive museum that you can visit today. With collections amounting to over 11,000 exhibits, the National Archaeological Museum comprehensively catalogues the evolution of Ancient Greece and as such is an essential place to visit for both historians and tourists alike. Some of the most impressive collections that you won’t want to miss at the National Archaeological Museum include; the Sculptures Collection demonstrating ancient Grecian sculptures that date from the seventh to fifth centuries BC; the Prehistoric Collections exhibiting items from the Aegean era in the sixth millennium, as well as artefacts from the Neolithic, Cycladic and Mycenaean eras that date up to 1050 BC; and the Vase and Minor Objects Collection showcasing pottery from the eleventh century BC up to the Roman period. In addition to the permanent collections, the National Archaeological Museum also hosts several galleries and temporary exhibitions that include a myriad of tools, weapons and treasures found from various archaeological digs, shipwrecks and excavations.